Sylvia didn’t have many positive memories of school. As far as the day to day was concerned, she could recall shuffling from desk to desk, classroom to classroom, stuffed into cramped corridors like sardines, crumpled notebooks and cigarettes behind the bike sheds. Her classmates were the same variant of faceless boy or girl. Her teachers wavered uncertainly through her memory. She did recall one music teacher, a recent divorcee who smoked in class and wore brightly coloured shawls, going on a rant about the beauty and power within the female form and the majesty it contained, to her bored eighth grade class. Women are the closest thing to God, she had said. Their bodies have the power to hold and create life. What could be more godlike than that? Sylvia remembered, at fourteen, thinking that this was incredibly pretentious, however that this was probably a very important thing to believe if you were, you know, recently divorced, lonely with grown-up children who never called home, whose only solace was in shawls and making profound Berkeley-grown declarations to a horde of apathetic teenagers. However, fifteen years later, she couldn’t help but think about that as she watched her daughter play. Fiona, she had called her Fiona after her grandmother, was eighteen months old. She was sat in front of her on the lawn, big brown eyes deep in concentration as she fumbled around with her colourful shapes. I made you, Sylvia thought. I made you practically alone and here you are. I can’t believe someone like me managed to make someone like you. Apparently sensing her mother’s gaze, Fiona looked up at her and shrieked with delight, waving the blue triangle with a pudgy brown arm. Sylvia smiled and bent down to take the blue triangle from her. Another shriek. She was drooling over her pretty pink dress, delighted and happy. She wriggled away from Sylvia’s cloth when she went to wipe her chin. Laughing and batting her hands at the shapes sending them tumbling down, thrilled at the destruction in her wake. Baby nonsense and then her daughter stuffed a round fist into her own smiling mouth, rattling it against her teething gums. Resisting as much as she could when Sylvia went to remove it. Tears and then, as she held her in her arms, soft breathing and silence. Her daughter was asleep and her lawn was covered in brightly coloured triangles, circles and squares. I learn something new about you every-day, Sylvia thought, glancing down at her fuzzy sprouting head of hair and sulky sleeping face. You like to sleep, you like to put everything in your mouth and you like making a mess. Fiona didn’t stir, sleeping, still and trusting, in her arms. It was so strange, despite her fears, despite her initial concerns, the odd moments waking up pregnant and panicked in the night, despite all of those little doubts that what she was doing wasn’t a good idea; Sylvia found her relationship with her daughter was easy. She actually understood herself in relation to Fiona much easier than she had for any of the other people in her life. There were no mind games, no little non-verbal signals she didn’t understand, no probing questions or nosy stares. Fiona was a baby, she needed her for food, warmth, shelter, protection. In fact she needed Sylvia for just about everything. She’d never manage on her own. She depended on her. She had to trust her to do those things. So, if, for example, Sylvia was going to pour rat poison into the gunky baby food that smelled so bad, Fiona would not think twice about eating it. Sylvia could just pile it onto a spoon, make aeroplane noises and that would be that. Fiona would eat it and just die. And if, maybe, Sylvia got sick and tired of her incessant crying, and maybe, smashed her tiny head against a wall. Fiona wouldn’t be able to stop her. Or if one morning she couldn’t be bothered, Fiona would just stay in her cot and wait. And say Sylvia didn’t fancy dealing with her that day, say she wanted to go to the shops without the pram, without the baby, without the judgmental stares and the baby changing rooms and the extra nappies – Fiona would just stay in her cot and cry and starve. Maybe Sylvia wouldn’t bother going in her room for a while. Her hand faltered as she stroked her daughter’s fuzzy head of hair. Sylvia shivered and held her a little tighter. No, she would not let any of that happen. She kissed her hair and tried to stop herself from shaking. Things will be different now, Sylvia thought to herself. They can’t be like they were before. They have to be different. I have an example to set for her now. Fiona opened her eyes and started to wail loudly. Sylvia rocked her gently, shushing her softly and humming some tune she had heard at the Mommy and Baby class she had been badgered along to. Fiona cried louder, twisting her tiny body in discomfort. 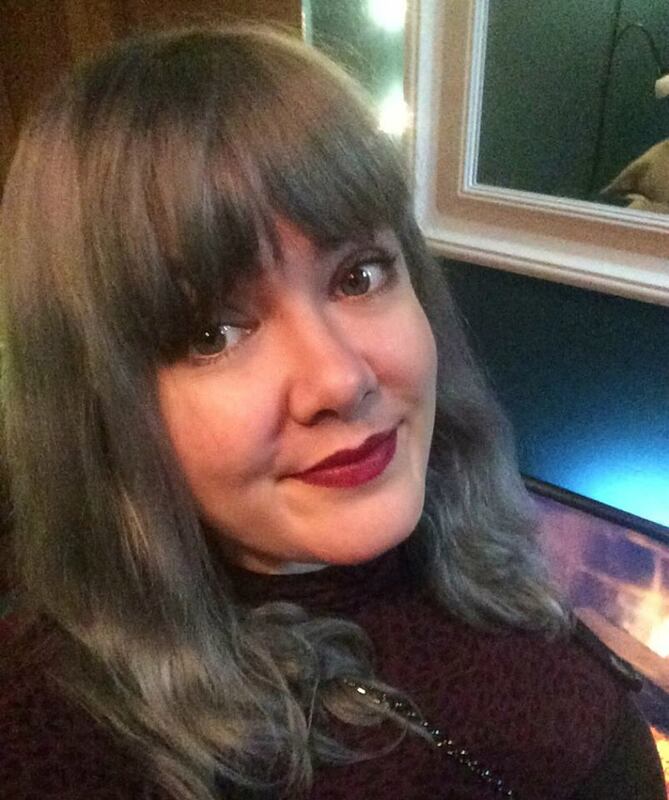 Rachael Llewellyn is an English writer living in Wales, where she is about to start her PhD exploring memory and folklore in the novel. Her work aims to challenge its readers in its uncomfortable social and moral themes. Her fiction has been previously published in The Tinderbox, published by Warwick University, where she completed her MA. This story 'Mother and Child' has been recently expanded into a full-length novel. Check our her Instagram: @rjoceanstar91.